Acme Oyster & Seafood House is on their mission to satisfy many customers throughout the world with their delicious variant of sea food and oysters. They are even specialized to serve fresh and hand-shucked oysters from Louisiana. They serve some of the best and tastiest oysters of the world in their restaurants and food houses. Corporate office of the oyster and sea food house is located in Metairie, LA. Along with a variety of sea food, they also serve delicious and mouth watering classic relishing food like rice, red beans, jambalaya, gumbo seafood and others. They are serving customers from 1910. There are currently 0 consumer reviews about Acme Oyster & Seafood House available. Share your review. Please take a note that you are about to post a public review about Acme Oyster & Seafood House corporate office on CorporateOffice.com. This review will be public, so please do not post any of your personal information on this website. 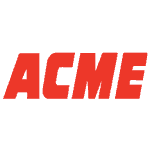 If you would like to contact the corporate offices of Acme Oyster & Seafood House, please use their contact information such as their phone number, website, and address listed above to contact them. However, sometimes staff from Acme Oyster & Seafood House headquarters do read the reviews on this website.